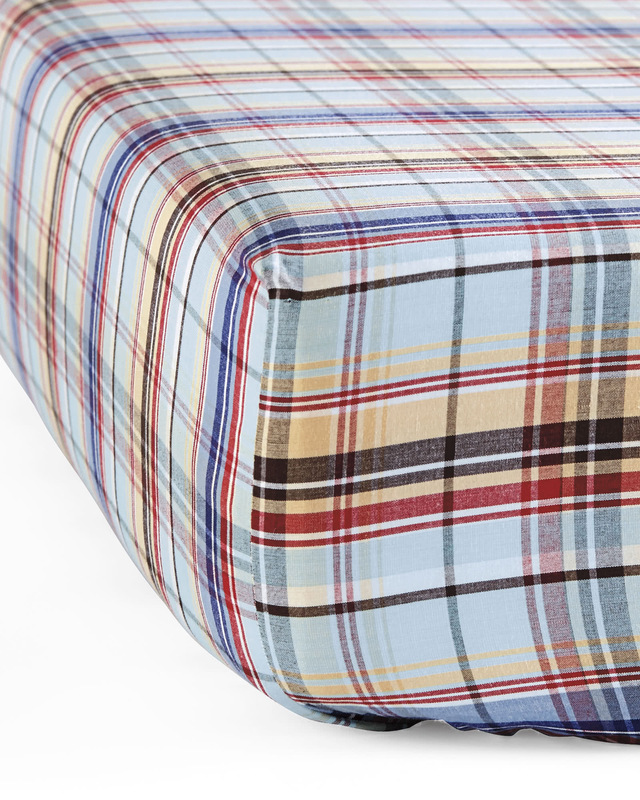 Madras Crib SheetMadras Crib Sheet, alt="Madras Crib Sheet, "
Print Originating in India, Madras fabrics weave different yarns together to create a plaid that’s classic, eclectic, and so distinctive. Our crib-sized version is a great way to add color to the nursery. The flexible palette makes it perfect to mix and match with other linens – from your own collection or ours.